Are you afraid of SEO or search engine optimization? Of course, it isn’t an easy task and requires a certain amount of painstaking work to be done before any web project will reach its desirable degree of success. And a person who does optimization for his web resource should take into consideration a great list of things while doing his job. But do all SEO specialists think about web performance optimization? It’s not a great secret that Google and other search engines range sites according to different options. One of them is the time your web site needs for its total downloading. High speed online platforms usually come on the first search positions while online resources with a bad performance are left far behind. 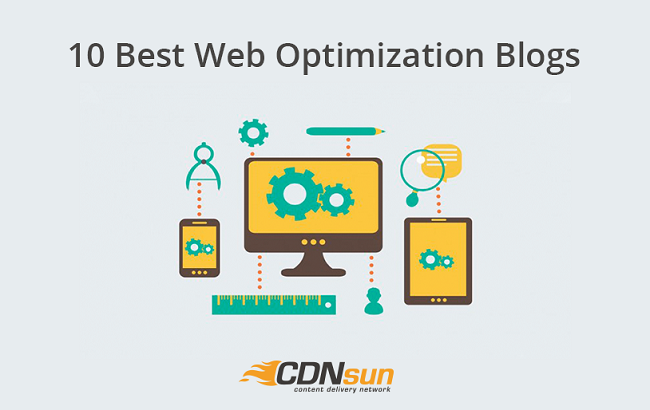 Today we are going to supply you with a nice selection of blogs about different aspects of web performance optimization. We hope that the material discussed and provided there will be useful both for web performance optimization beginners and experts. This blog was started by Kent Alstad. He is a performance researcher and tech innovator who is crazy about speeding up web resources. The articles included in his blog are written in a simple understandable language and are connected with a great variety of topics connected with web performance optimization. For instance, you can find loads of data about web performance optimization influence on a business aspect of any web site. Moreover, this blog includes some useful tips how to make your site download faster. Planet Performance is an online portal that includes a large list of WPO blog links. This means you don’t have to look for the web performance optimization blogs with the help of a search engine any more. Just click on the name of the blogger in the list and you will be immediately transferred to his web resource. The names of the bloggers included into the list are positioned in an alphabetic order and it’s very handy. Moreover, the starting page of the web portal indicates the latest news and the most popular posts on the theme. If you want to look through some old materials connected with WPO you can find the option ‘Performance Calendar’ where the posts are sorted according to the year of their publication. Sajal Kayan is a software programmer and is interested in web development. He started his blog in 2007 and continues to add posts up to now. His blog covers a wide range of topics connected with the area of IT such as general news and interesting events, comments on some new developments and applications, comparison of some software products. The blogger has also posted some interesting data about CDN services and web performance optimization. Paul Irish is a front-end developer and at present he works on the Google Chrome team focused on Developer Tooling. He started his blog in 2006 and the last post was made in October 2015. In his posts Paul shares some knowledge about different tools and tricks that are able to help everyone to improve or develop the best performing mobile web sites and webapps. For instance, you can find there a nice selection of posts about such service as HTML5 Boilerplate and optimization of CSS and Java files. The blog has lots of visitors and features lively discussions so don’t miss to read the visitors’ comments either. William Chan positions himself as a peripatetic hacker who often visits San Francisco. At present he cooperates with Google on a part-time basis and works on SPDY and HTTP/2.0. In addition, William is a member of Chromium project since 2009. Though this blog doesn’t seem very large, it contains a good selection of posts about HTTP, SSL and SPDY. To make his ideas easy for understanding, the blogger adds loads of visual material and mixes them with some funny stuff to cheer his readers up. Barbara Bermes is a senior manager for Firefox Mobile. She started her blog in November, 2006 ‘to make web win and fast’. You can find quite a lot of practical advice, useful tips and links to other authors’ materials in her posts. Barbara is really able to describe difficult things in a simple way that’s why her articles and comments are suitable both for web performance optimization experts and beginners. Though his posts are overloaded with technical details, the blogger always tries to support his ideas with handy screenshots, diagrams and pics. Ilya Grigorik is a web performance engineer at Google and a co-chair of the W3C Web Performance working group. He started his blog in 2005 to discuss the main aspects of browser and networking performance. While reading his posts you can find some interesting facts about TCP, TLS optimization, impact of latency and bandwidth and performance tips for mobile network. Though the blogger’s posts seem to be rather short, they are very informative and include a well-selected visual material. This blog was created by the Dynatrace Company’s employees to educate and share useful tips and experience of creating and maintaining quick sites and apps. The topics discussed in the posts are Application Performance Management, performance of large enterprise applications, Mobile and web performance, users’ experience and etc. The blog has a very handy interface where all information is classified according to the topics. The posts are written by different authors and are very easy to read and understand. In general, the blog is informative and will be useful for everyone who is interested in web performance optimization. Practical Performance Analyst is represented as the collaborative project uniting a group of performance engineers who want to share their successful experience and knowledge with anyone who is keen on the topic. It includes articles on Performance Optimization, Performance Testing, Performance Modeling, Capacity Management, Application Diagnostics and many others. Though this web resource is very large, it has a well-designed interface where all articles and tutorial information are sorted into the categories according to the problems discussed in them. So here are 10 best web optimizing blogs according to our point of view. Feel free and write your comments about your experience of visiting these blogs below.